Listen, if you are one of those who struggle in class with people making fun of you for being a nerd, then let me tell you something: Everybody in this image is a nerd. Well, we’re all science teachers, but that’s the same thing, isn’t it? I’d bet the one teacher at your school who is most interested in simply knowing stuff for the sake of knowing stuff, is probably teaching science. See, no difference. At least not to me. When you go study at university you will find out just how many nerds there are out there. There are oodles of us! That’s the sensor to a rocket payload I have in my hands there, by the way. We built that payload ourselves and launched the rocket. Well, they did, really. 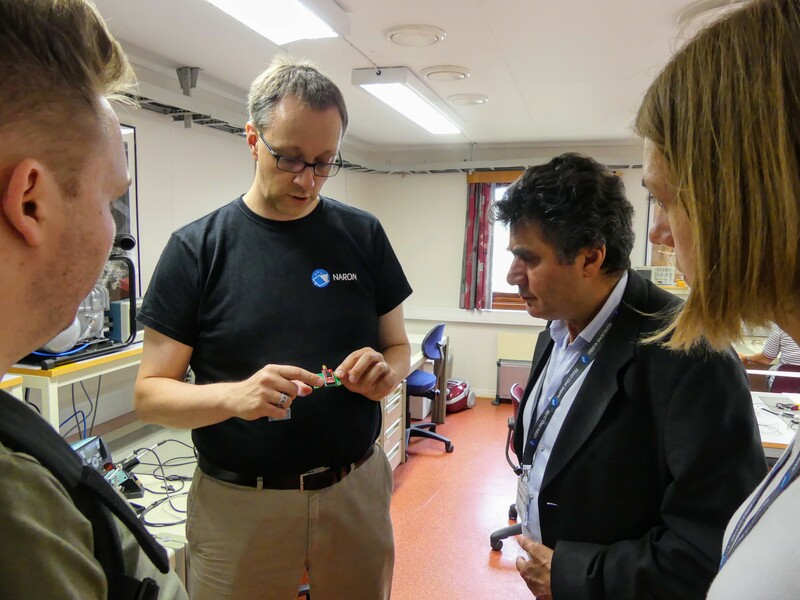 Those are science teachers who have come to visit us at Andøya Space Center for that very purpose. Hopefully, you find out something else, too: Being a nerd is about the greatest thing in the world. I mean, “hard at work”, right? Right? I mean, really, really hard at work!